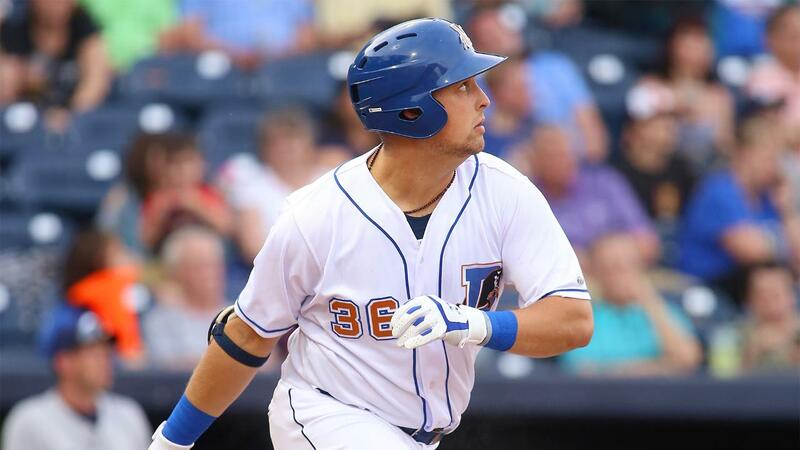 DURHAM, NC - The Durham Bulls gave up a ninth inning, two-run home run to Eric Haase and fell 3-1 in the series finale against the Columbus Clippers Sunday evening at the DBAP. Cole Sulser (0-1) took the loss for Durham, while Henry Martinez (2-1) earned the win for the Clippers. Columbus got off to a fast start against Bulls starter Casey Sadler, when Mike Freeman tallied a solo home run in the first inning to make it 1-0. Both pitching staffs kept the opposing offenses in check from that point, holding each other scoreless for six innings. The Bulls got a second straight game of terrific pitching, led by Sadler, who went three innings, allowing one earned run and striking out six. Mike Franco took over in relief, pitching two shutout innings and striking out three and then Ryan Merritt continued the success, with three shutout innings of his own, in which he allowed two hits and struck out seven. Bulls pitching turned in yet another blistering strikeout total, with 17 as a unit. Merritt tied the season high in strikeouts by a reliever with seven and the Bulls struck out eight of nine players in the Clippers lineup. Nate Lowe delivered a clutch RBI single in the eighth inning to tie the game up at 1-1. The Bulls offense threatened for more, but Martinez limited the damage to just one run. The Clippers got off to a hot start in the ninth inning, thanks to a double by Ryan Flaherty. After a throwing error by Nick Ciuffo, Haase delivered the winning runs on his second home run of the season. Durham will hit the road for a four-game series against the Norfolk Tides, before returning to Durham Bulls Athletic Park on Friday against the Gwinnett Stripers. Jake Faria will take the hill for the Bulls against Norfolk left-hander Josh Rogers Monday at Harbor Park. First pitch is scheduled for 6:35 p.m.